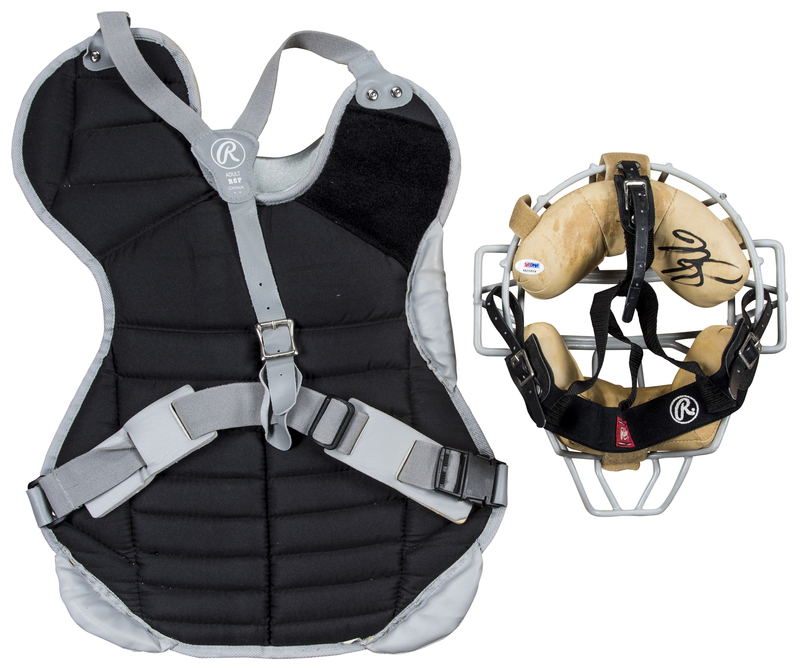 Hall of Fame catcher Mike Piazza wore this chest protector and facemask during the 1997 MLB season. 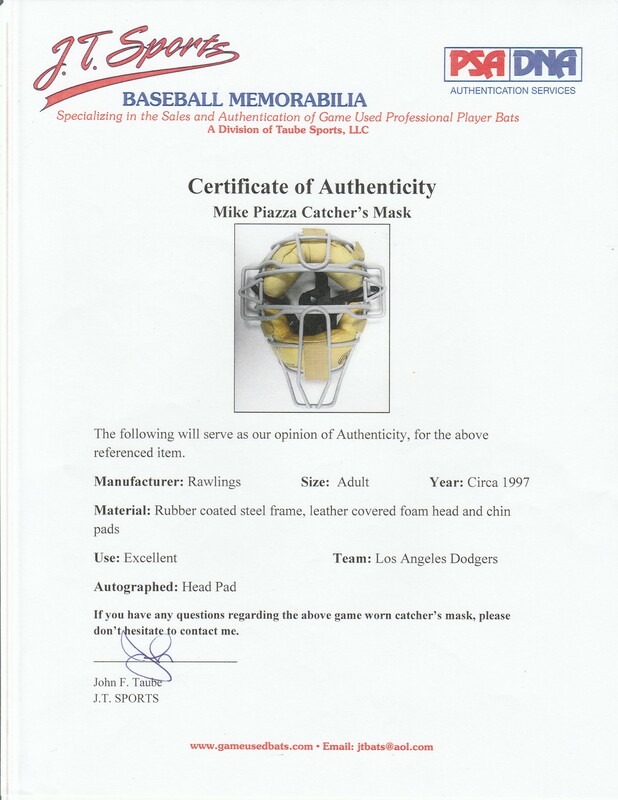 Piazza had a career year with the Los Angeles Dodgers in 1997, hitting .362 with 40 homers and 124 RBI as he finished second in the National League MVP race. 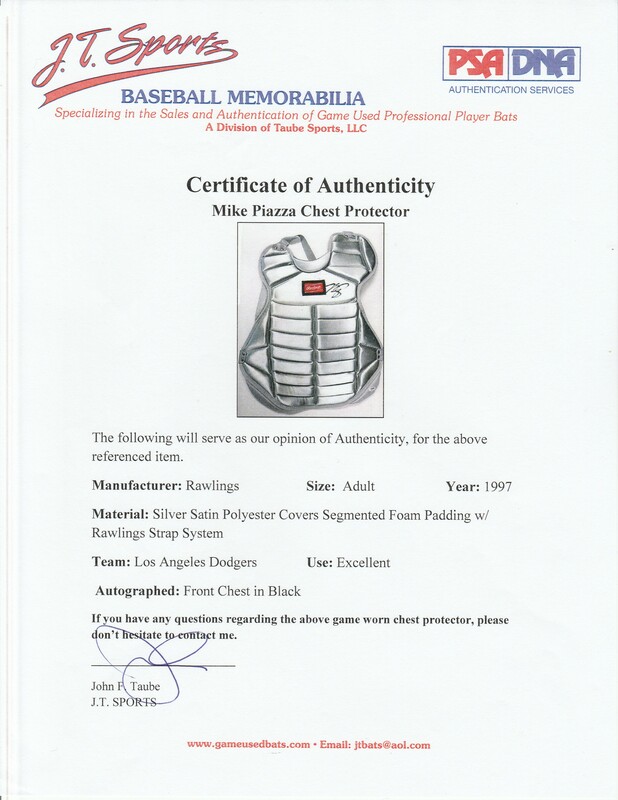 Piazza was named to one of his 12 National League All-Star teams in 1997, his final full season with the Dodgers. 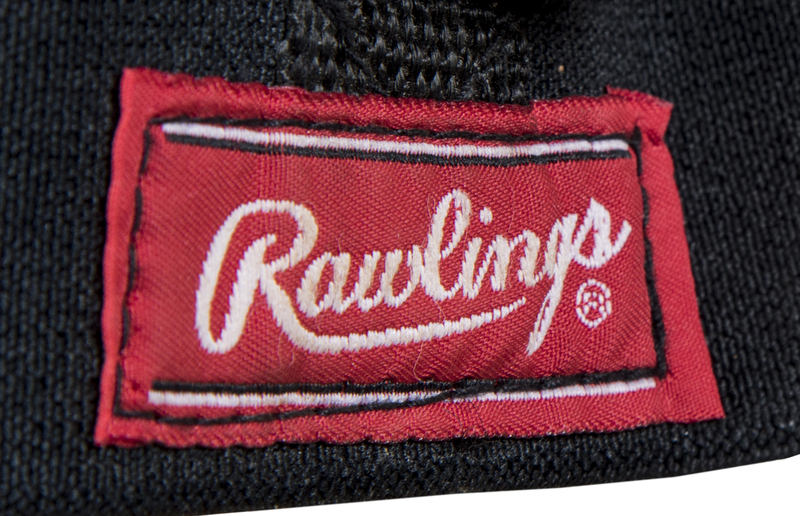 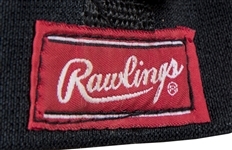 This offered Rawlings facemask is made of gray metal with tan leather head pads and black straps. Piazza has signed the reverse side of the head pad in black marker. Also included is Piazza’s gray Rawlings chest protector. 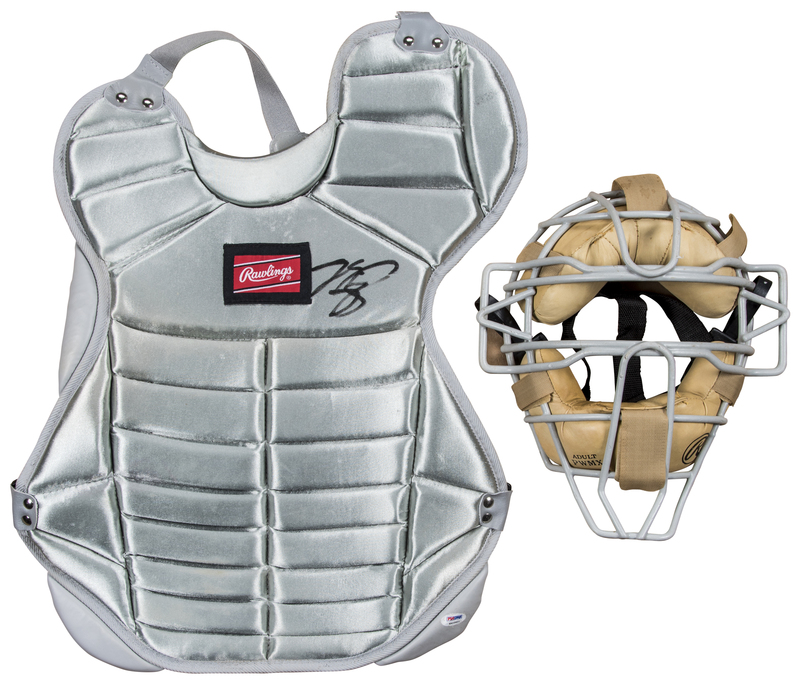 The Hall of Famer has signed the front of this chest protector in black marker. 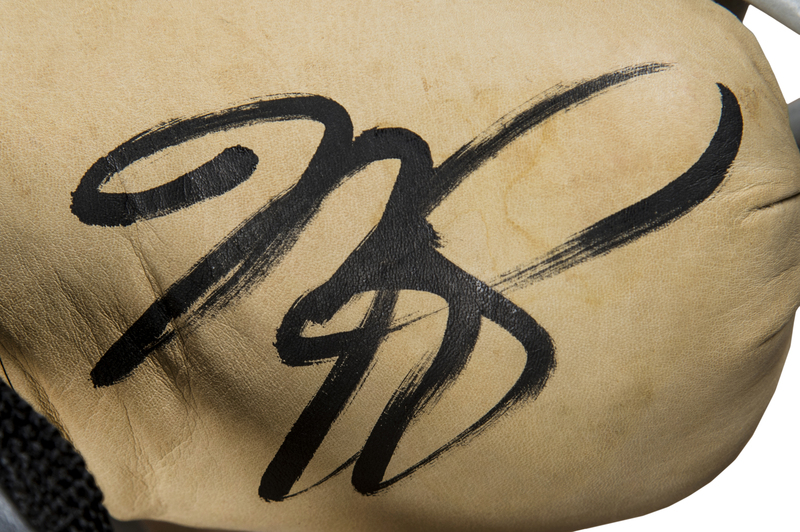 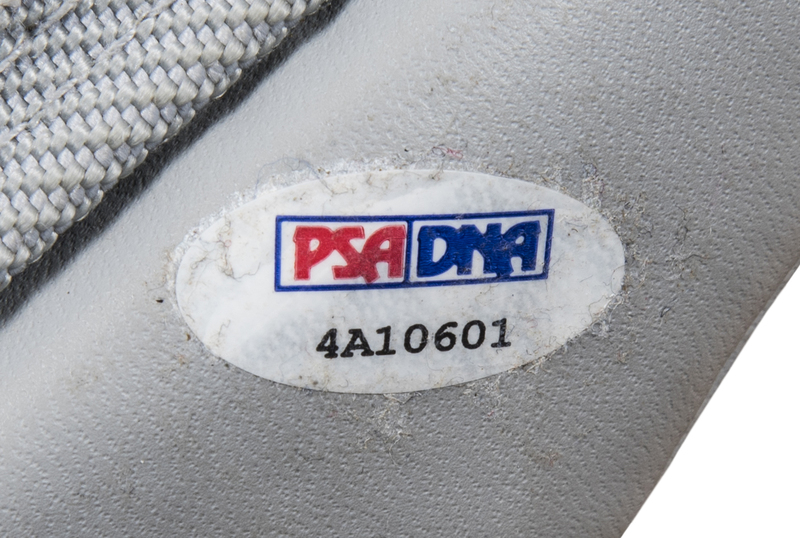 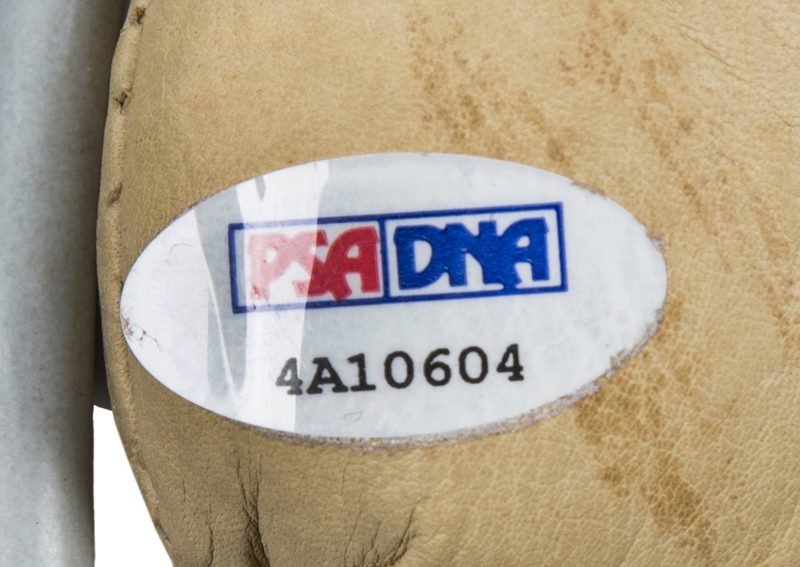 The facemask comes with a PSA/DNA STICKER ONLY (4A10604) for Piazza’s signature, while the chest protector comes with a COA from PSA/DNA (4A10601). 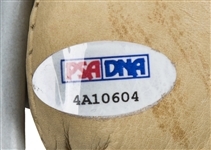 Each item comes with a LOA from JT Sports for game use.